VOIVOD burst out of Quebec, Canada in the early eighties with a gritty style that was rooted in heavy metal. The unit was an absolute powerhouse, and rightfully revered as such from the get-go. But the band's magnificence became clear as it found its true self toward the end of that decade. The thrash powerhouse was always instantly recognizable, but it did more than simply embrace its affection for progressive music. The band morphed into one of the most truly forward-thinking bands, at once weird and transcendental to the point where it seemed as though it was stabbing its way into otherworldly realms. VOIVOD is one of a kind. The Canadian band carried onward along its singular path the next decade, though it became a bit more "normal," relatively speaking. The music was sometimes great, but not exceptional as was that which came before it. The group's 1993 banger "The Outer Limits" was an interesting release, yet it paled in comparison to the likes of the 1988 outlandish, concept-driven release "Dimension Hatröss". More recently, VOIVOD rekindled its penchant for science fiction on 2013's "Target Earth". 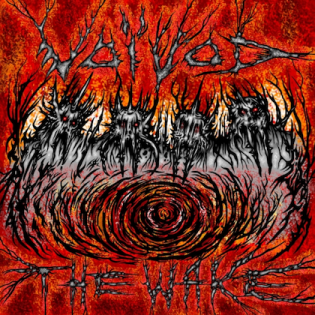 VOIVOD has now parlayed that return-to-roots inclination for sci-fi on "The Wake". It's the 14th album within its catalogue, and it is easily one of VOIVOD's best. "The Wake" is elaborate, complex and bizarre yet surprisingly accessible because it's tremendously catchy and flowing. 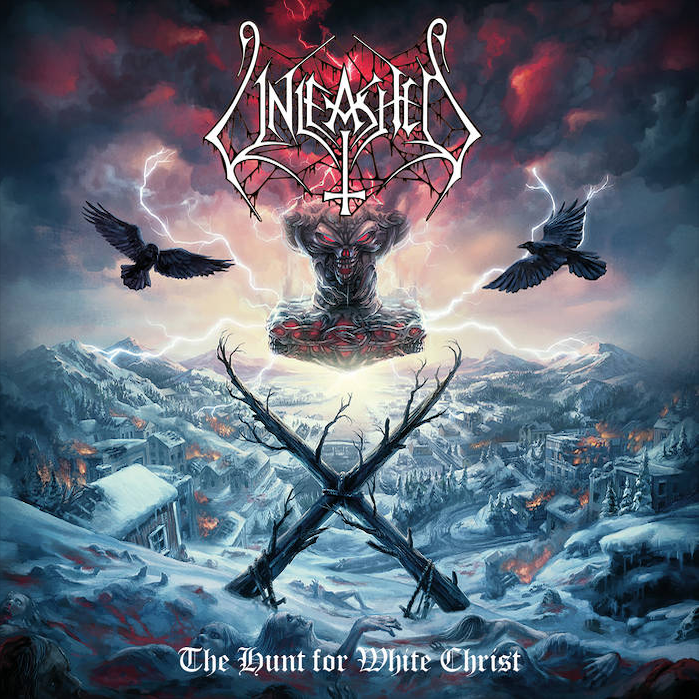 Michel "Away" Langevin is reliable with his pummeling and tasteful approach, and while Denis "Snake" Bélanger offers the best vocal performance of his career as he gives sound to the lyrics that are as nerdy and interesting as ever, it's actually guitarist Daniel "Chewy" Mongrain who steals the show. Even though Mongrain is perceived by many as a newbie, he's been a part of the band for a decade. (The more recent newbie, Dominic "Rocky" Laroche, who joined in 2014, offers a solid and supportive performance on his recording debut with the band.) Some will never fairly give him a chance due to the fact that he is not the guitarist who he replaced: the legendary and inventive Denis "Piggy" D'Amour who died of cancer in 2005. But some people's unfair criticism is based upon nostalgia, not his actual playing. Mongrain was the perfect replacement because he was a longtime fan, one that clearly studied Piggy's style. Mongrain properly and impressively became a part of VOIVOD's storied recording canon with previous album "Target Earth", but he is the shining star on "The Wake" with a performance that proves that he is just as quirky, memorable and visionary as Piggy was. Mongrain's off-the-wall, frantic style sometimes morphs into punchy bursts that are jazzy and rhythmic, specifically on tracks like "Always Moving". But his skillful abilities steer the ship across the seas of post punk, post rock, prog and more—all whilst maintaining the integrity of the band's metal core. 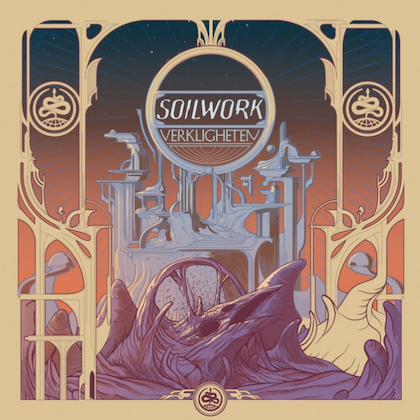 Collectively, Mongrain's style and contribution, Snake's lyrics, Away's post-apocalyptic dystopian artwork and every aspect of the band strikes an interesting balance. There's a high school-aged childlike adventurousness and enthusiasm that's simultaneously mature, developed and profound. "The Wake" is the epitome of avant-garde metal that's void of pretense. VOIVOD is back in a big way. The band is as relevant and powerful as it's ever been.